The Mile High City offers plenty of free things to do all year long. Enjoy Denver without spending a dime with this list of the top free Denver activities from scenic Denver parks to historical sites across the metro area. Red Rocks Park and Amphitheatre in Morrison, Colo., is part of the Denver Mountain Parks system. Admission to the park is free, although tickets are required for outdoor concerts and movie screenings held in the natural amphitheater. The park features several trails and a visitor's center showcasing the decades of concerts held at Red Rocks. The park is open from one hour before sunrise to one hour after sunset daily, although it may close early for concerts. Pets are allowed but must be kept on a leash at all times. 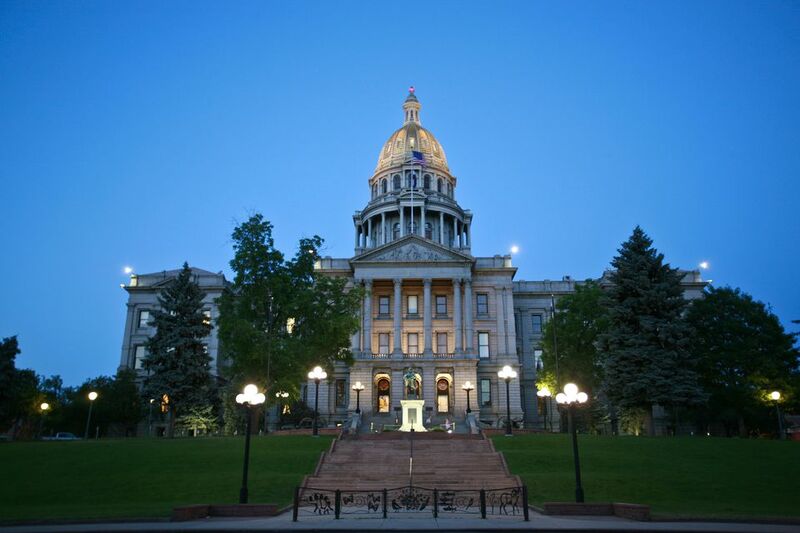 The Colorado State Capitol offers free 45-minute tours of the historic building from 10 a.m.-3 p.m. Visitors may also take a free self-guided tour when the building is open from 9 a.m.-5 p.m. Monday-Friday. All visitors must pass through security to enter the capitol building, located at 200 E. Colfax Ave. The Colorado State Capitol is closed on all state holidays except for Martin Luther King Day and Presidents' Day. The United States Mint in Denver at 320 West Colfax Ave. offers free tours of the manufacturing facility, which produces U.S. coins such as quarters. Reservations are required for the tours, which run every hour from 8 a.m.-2 p.m. from Monday to Friday. No purses, bags, cameras, food or weapons are allowed on the tours. The Coors Brewery in Golden, Colo., offers free tours from 10 a.m. - 4 p.m. on Thursday-Monday, and 12 noon-4 p.m. on Sunday. The brewery, founded in 1873 by German immigrant Adolph Coors, is closed on Tuesdays and Wednesdays for tours. The tours include two free glasses of beer at the end for visitors over the age of 21. Some locals like to indulge in the "express tour" which consists of going straight to the bar and skipping the tour of the brewing process. The city's popular Washington Park lies at the intersection of S. Downing St. & E. Louisiana Ave. Dubbed"Wash Park" by locals, the running and bike paths make for prime people-watching as well as enjoyable exercising. Visitors can also fish in several lakes free of charge, or wander through the fragrant flower gardens. Tennis and basketball courts are also available at the park for fitness enthusiasts. On any given weekend, you're likely to find volleyball games that you can jump in. Denver's City Park is located at 17th Ave. and York St., and serves as the home of several Denver attractions. The Denver Zoo and the Denver Museum of Nature & Science both were established on the grounds of City Park, which also includes a public golf course on its grounds. Free activities in the park include City Park Jazz in the summer months, as well as festivals such as the Denver Black Arts Festival in July. The park also boasts numerous walking and running trails, although it is not as crowded as Washington Park. Visitors can tour the grounds of the Four Mile Historic Park at 715 S. Forest St. for free, although there is an admission charge to visit the museum. The park lies along the banks of Cherry Creek and served as a wagon stop during frontier days. The Four Mile Historic Park is open from 12 noon-4 p.m. on Wednesday-Friday, and 12 noon-4 p.m. on Saturday and Sunday. Call 720-865-0800 for more information. The Scientific & Cultural Facilities District tax of 0.1% funds free ​admission for Colorado residents on selected days at Denver museums. The Denver Art Museum is free the first Saturday of every month, and the Four Mile Historic Park is free the first Friday of the month. Other free days at museums such as the Denver Museum of Nature & Science and the Denver Zoo vary by month. Colorado residents should bring a driver's license or state-issued ID for admittance. Denver features several free festivals celebrating the city, from the People's Fair in June to A Taste of Colorado in September during Labor Day weekend. Most festivals offer free admission and entertainment, although visitors may be tempted to spend some cash on the food and drink vendors. Denver's City Park hosts free jazz concerts from June to August. Every Sunday at 6 p.m., the park comes alive with picnickers and jazz aficionados alike gathered around the bandstand near Ferril Lake.